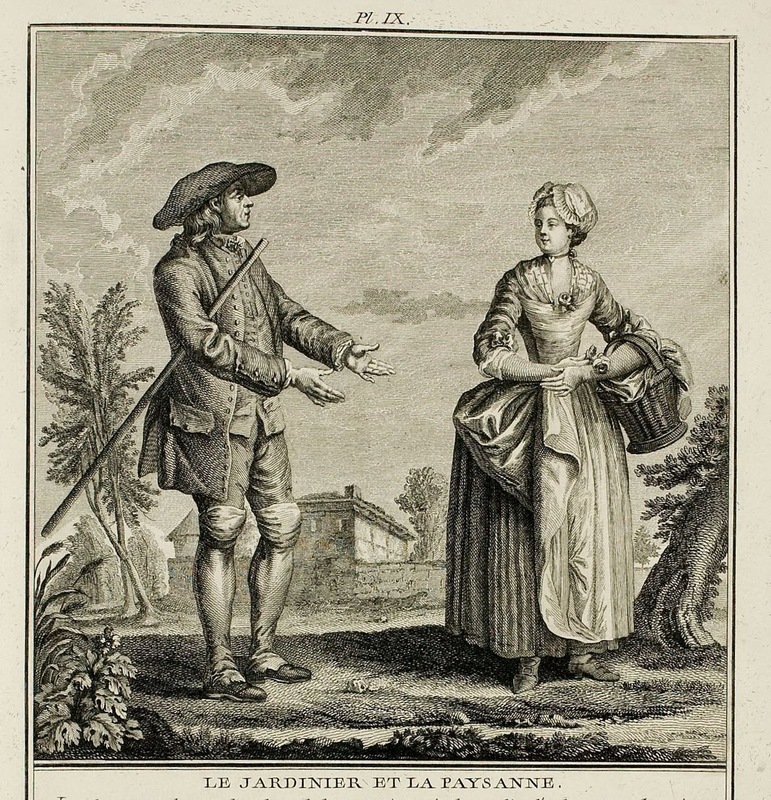 THE GARDENER AND THE PEASANT. Sages pretend that cultivating the ground is never an ordeal for a condemned man at work, but rather the joy and delight of a very happy one, also what there were greater among men had the taste for Agriculture and gardening. Solomon cultivated plants in his gardens, from hyssop, which grew in the walls, to Cedar of Lebanon; the Kings of the Orient found a real pleasure in cultivating their gardens. They used their own tools to move the earth with the same hands in which they held a Scepter. Scipio the African had a little field that he worked himself, and Q. Cincinnatus was holding the Plowshare at the same instant that a letter from the Senate came, which announced to him that he was just elected Dictator in the extreme need of the Republic. Finally, the cultivation of Vegetables is so agreeable that everyone hastens to have gardens; those who cannot have them in the Country try to have them in the City, and when neither one advantage nor the other can be enjoyed, one decorates with plants and flowers one's terraces, one's balconies, one's windows, and even one's rooms. Nothing in life outweighs the pleasure of an Agriculturist and a gardener. Admiring the sunrise every day, enjoying the agreeableness of beautiful days, following the order of Nature and being its cooperator, so to speak, sometimes gathering the most beautiful flowers, which are presented to us, sometimes grains, which nourish us, and exquisite fruits, which adorn our tables; seeing this produce die and seeing them at the same time reborn, as from their own ashes, such is the occupation of a gardener, an Agriculturist, a peasant man, a peasant woman. Their clothes respond to the simplicity of their estate. I'm digging her accessories--that's an adorable cap, and I love the extra-big French aprons. So practical for avoiding messes on one's gown :) And a friend of mine was looking for examples of 18th century baskets--I'm forwarding this on to her! I didn't even think about the basket! Glad to help.